Amaia: The other day the teacher was going over the letter O with us. Me: So did you all have to put up your hands if you knew any words beginning with O? Amaia: Yes. Some of the boys and girls only knew little words like on or off but I knew a big word so I put up my hand. Me: And did the teacher pick you? Amaia: Yes, so I said orthodontist because I remembered that Marcel and Charlotte always used to go to the orthodontist. Me: I bet she was impressed. Amaia: Yes. I was thinking about it later and I was annoyed with myself. Me: Why? Orthodontist is a good word. 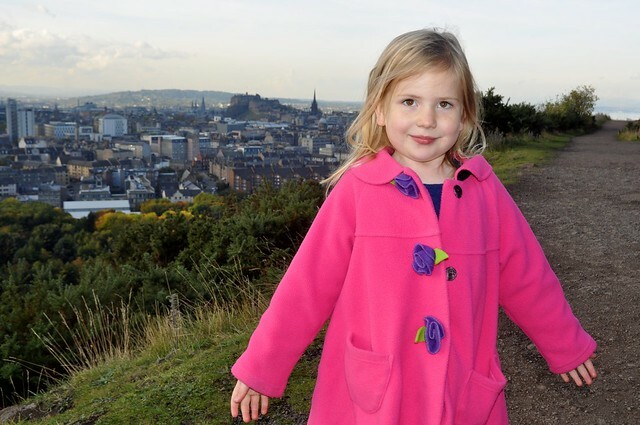 Amaia: I know but I remembered later that we went to Edinburgh last week and I could have sounded really clever if I'd mentioned that we climbed Orthur's Seat! It's not what you think, kids!